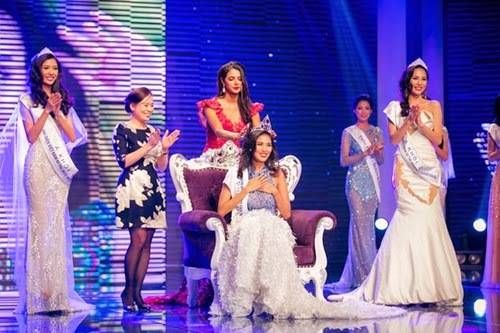 22 year old Tran Ngọc Lan Khue was crowned Miss World Vietnam 2015 at the GEM Center in Ho Chi Minh City on January 5. The first runner-up was Phạm Hong Thuy Van and she will compete in Miss International 2015 contest. And the second runner-up was Nguyen Thi Le Quyen and will compete in Miss Supranational 2015. Standing 1.76m tall, Tran Ngoc will compete and represent Vietnam in Miss World 2015 pageant.